Are you looking to add some real excitement to your upcoming children's party or event? Serving North Georgia since 2000, Jumptastic is Hiram, Georgia's choice for children's party and event rentals. No Event too Big, No Party too Small. We offer a large selection of commercial inflatable rental products and event rental services. Choose from a vast selection of over 900 party rental items including many NEW items for this year! We offer delivery and set-up to all Hiram festivals, parties, celebrations and events, including Children’s Birthday Parties, Graduation Parties, Summer Camps, Churches and other Places of Worship, Community Events, Family Reunions, Grand Openings, Fall Festivals, Spring Flings and other School Events. A nominal mileage fee may apply. Click here for a complete mileage fee chart. You can call us at 404-537-1805 or reserve your inflatable fun online 24/7. Simply click to enter the date of your event or party in the event calendar to begin. To get some ideas to make your Hiram event more exciting, browse through Jumptastic’s vast inventory by clicking here. Show your creativity with party supplies, party favors, decorations, prizes and more! Find everything you need in our online Party Supplies store and get them shipped right to your door. Our goal is to provide selection and value without sacrificing safety, cleanliness, and fun! 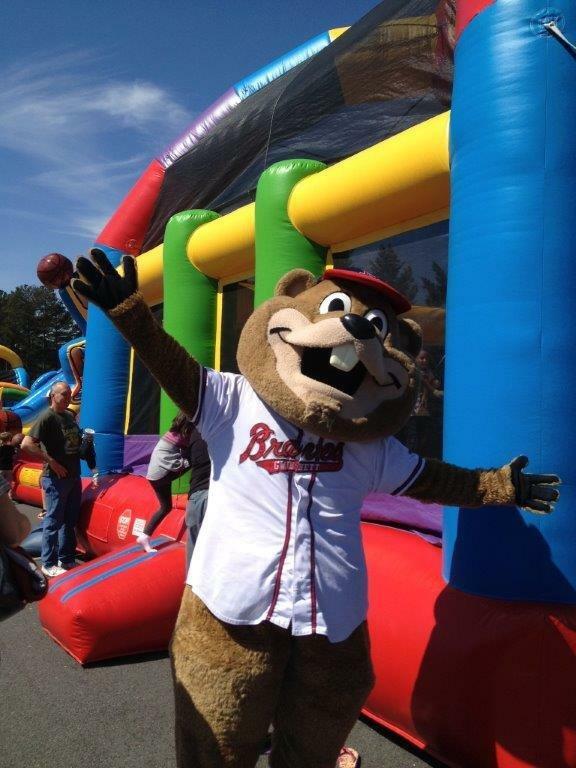 We have a large inventory of Hiram’s most popular Moonwalks, Bounce Houses, Jumpers, Moon Bounces, Inflatable Water Slides & Dry Slides, Jump/Climb Combination Units, Obstacles Courses, Dunk Tanks, Toddler Inflatables, Children’s Activity Centers, Interactive Inflatable Games and Art Events on the market. We also have a completely Trackless Train! Browse our website for prices and availability. Add even more fun to your event or Party by renting one or more of our authentic carnival concession units including; Popcorn machines, Snow Cone machines, or Cotton Candy machines! Our Large Event Service Area covers most of North Georgia and the Atlanta Metro Area including: Forsyth County, Hall County, Gwinnett County, Fulton County, Dekalb County, Cobb County and other surrounding counties. Call 404-537-1805 for information on our Festival and Large Event solutions.